Just a quick exciting announcement for my readers, this summer I will be reviewing the new Marilyn Monroe novel, part true story part fiction, MARILYN’S RED DIARY by E.Z Friedel. If you want to get in on this salacious new novel about the iconic woman then here is your chance! For today only you can get a your own copy for FREE on Amazon! On Aug 5th download your free copy on Amazon Kindle! Using shocking new information, E.Z. Friedel creates a dramatic, fictional account of what might have happened to the iconic and troubled star. The people who tried to protect her, and those who may have killed her are all in this shocking and scandalous story told by Marilyn herself as she recounts the events of the day—and the steamy, sexual encounters of the night. 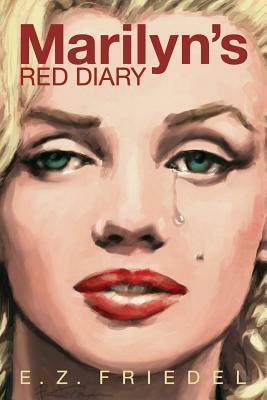 Marilyn confides in her diary all the details of her dirty little secrets about the famous and the powerful. For more details about this stunning new novel, be sure to check out the authors webpage!